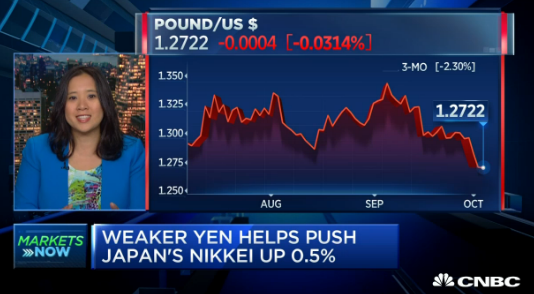 Got the chance to appear on CNBC World Wide Exchange with Sara Eisen this morning talking about my Targets for GBP, USD/JPY and comments on EURO Watch Now. Lots of Good Stuff. BoE Preview – Rate Cut AND QE? Tomorrow’s Bank of England meeting is one of the most important events this month. Back in July, U.K. policymakers made their plans to ease in August abundantly clear and now that the time has come, sterling has been surprisingly stable. By giving investors sufficient warning, the market had the opportunity to completely discount a 25bp rate cut and the question now is if the BoE will do more. They could cut interest rates by 50bp or they could combine a quarter point cut with renewed bond buying. Quantitative Easing was a critical part of the BoE’s monetary policy during the financial crisis but with interest rates already so low, the effectiveness of QE is in question. Many economists believe they will revive the program but not this week. Since Britain decided to leave the European Union, the Bank of England has taken major steps to stabilize the financial markets and encourage lending – and so far it has worked! Stocks are stable, yields have increased and the doomsday sentiment in the market is fading. A lot of this has to do with the U.K. government’s decision to postpone invoking Article 50 for the next year or two, reducing the immediate risk for businesses. This means the central bank can wait to ease again when there is a greater evidence of a deep contraction in the economy. 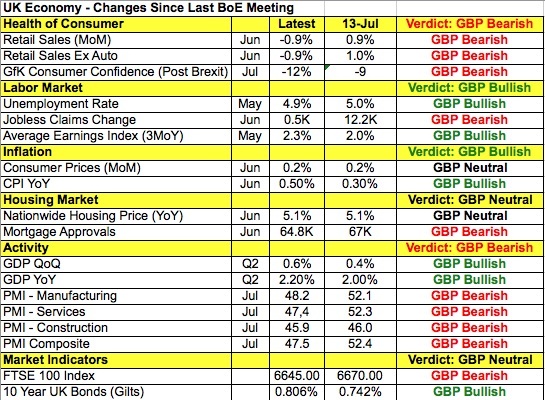 Taking a look at the table above, there’s certainly been more deterioration than improvement in the U.K. economy since the July monetary policy meeting. However wages are up, the unemployment rate is down and consumer prices are ticking higher. Second quarter GDP growth was also better than expected. Although manufacturing, services and the composite PMI indices fell sharply in July, this morning’s numbers were not revised lower after the flash release. When the Bank of England releases their Quarterly Inflation Report tomorrow, their forecasts will be grim – policymakers previously warned of a possible recession post Brexit. Governor Mark Carney won’t have anything positive to say outside of acknowledging financial market stabilization. Yet economic and financial conditions are not desperate enough for the Bank of England to rekindle their QE program. In other words, we feel that the Bank of England doesn’t need to send a strong message to the market right now outside of a 25bp rate cut and a stern warning of more easing in the coming months. If we are right, we could see a bigger short squeeze in GBP/USD that will allow investors to reset their short positions at higher levels. The U.K. is not out of the woods, as growth will only slow further in the coming months / years because the U.K. government is simply delaying the inevitable. If they cut by 50bp or restart their bond buying program, sterling will fall quickly and aggressively. 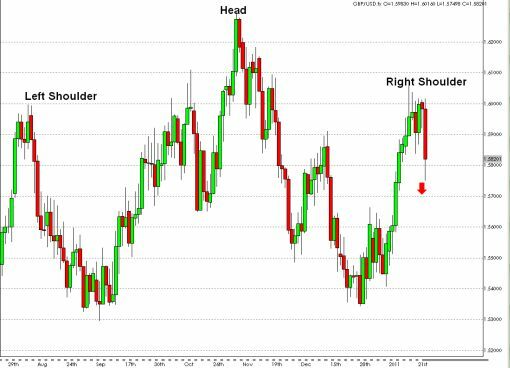 Head and Shoulders in GBPUSD? After rallying for 9 straight trading days, the GBP/USD has finally pulled back. In my Charting the GBP/USD post yesterday, I showed a chart illustrating the extremeness of the move in the currency and talked about how it was prime for a correction. Typically when moves become this overextended, a correction of AT LEAST 100 pips is possible in the GBP/USD and that is what we have seen today. However, the sell-off today has formed what could be a very early Right shoulder in the GBP/USD. 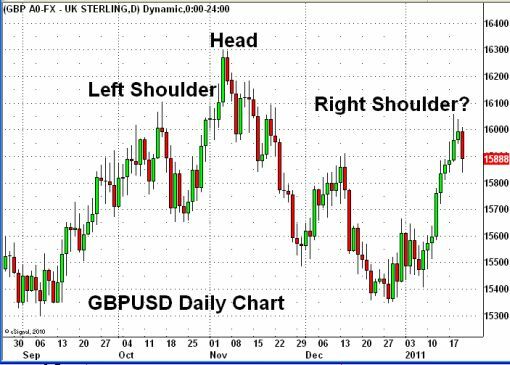 Take a look at the following chart and tell me if you see a head and shoulders pattern forming.